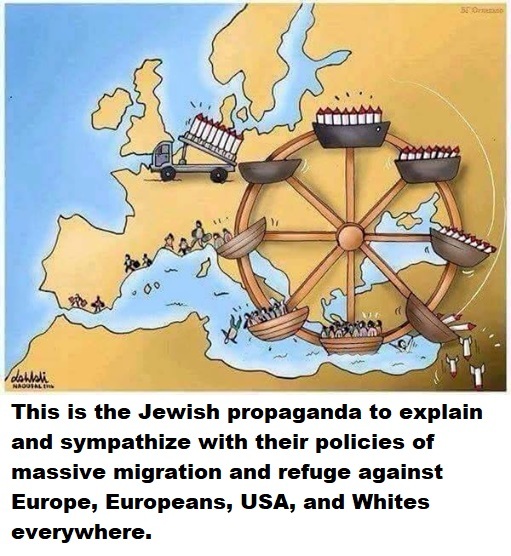 This is the Jewish propaganda to explain and sympathize with their policies of massive migration and refuge against Europe, Europeans, USA, and Whites everywhere. The Jews and other Turkic groups are behind the terrorism and warmongering of EU. EU is not European, it is Jewish. Find out the role of Balkan arms and training camps to supply and recruit and train terrorists. The Jews and other Turkic groups want to finish off Whites and at the same time win the Middle East and Africa. Wake up!